Last Saturday, a crowd gathered for a glorious display of song and dance at Regent’s Got Talent, an event hosted by the Student Activities Board each year. They describe it as “an annual showcase of Regent’s most talented individuals,” and true to their word, each and every contestant presented with skill and heart. Joél Casanova and Kasey Ficara were the hosts for the event. Although there were only eight performances, the night was one to remember. The lineup consisted of guitar and song performances from Kaleo Gregg, Sarah Golden, and Zak Khaliqi with Lexie Curson; along with piano and song performances by Bethany Baldwin with Elisabeth Feaster, Nathan Schwarzwalder, and Christine Ciccone with Nathan Wuertz. Andrew Corder gave a solo performance. The night was topped off with a choreographed arrangement by Kayla Phaneuf and Company who danced to “The Greatest Show,” a song from the hit movie-musical The Greatest Showman. Special performances were given by Joél Cassanova and Joshua Haudricourt during intermission and Abraham Lee after the final act. 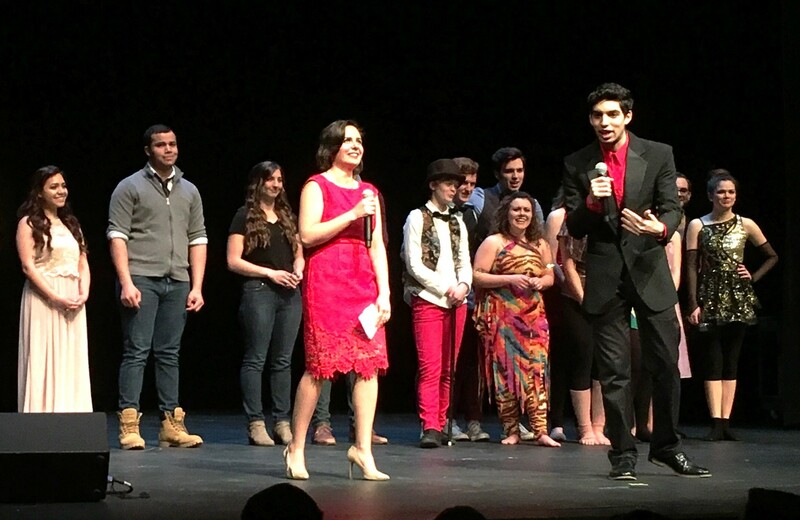 Saturday night showed that Regent not only has talent: it boasts some of the most talented students around. From dance numbers to singing, guitar to piano, the performances certainly entertained and astounded the audience. It’s everything you ever wanted. It’s everything you ever needed. This was the greatest show. Davis Hawkins is a Staff Writer for The Daily Runner.